A vibrant, faceted Sleeping Beauty turquoise briolette hangs from the center of a unique, elegant, heart-shaped hoop. 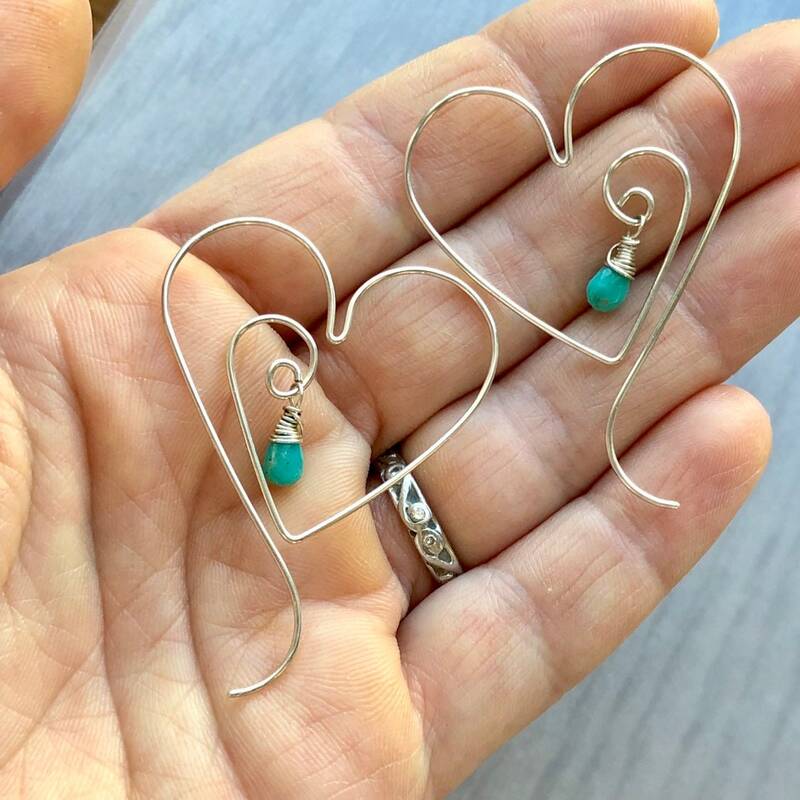 These earrings are entirely hand-shaped from sterling silver wire. 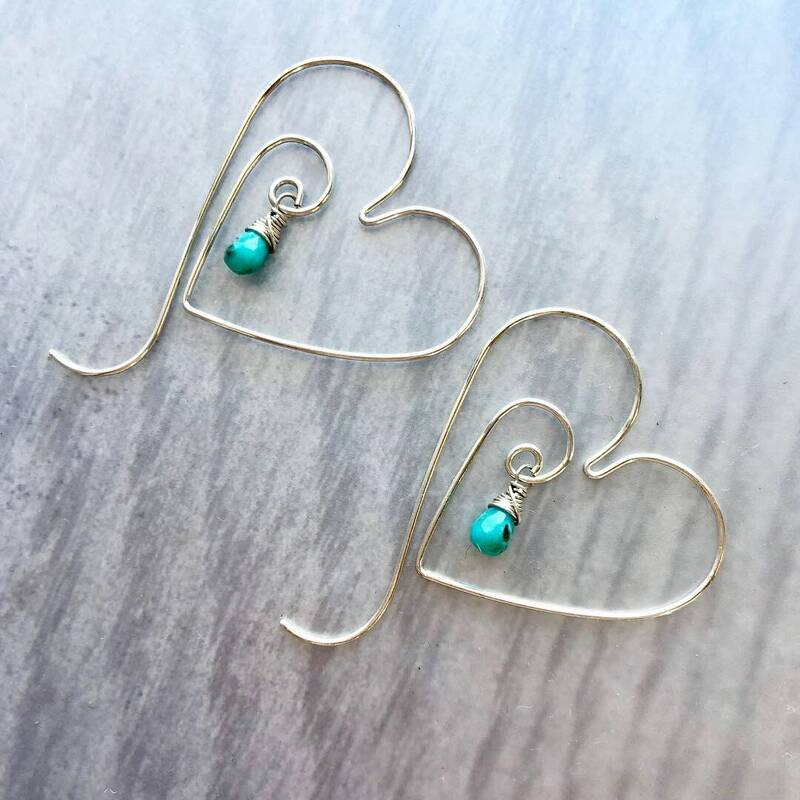 • The turquoise briolettes are approximately 7x4mm. 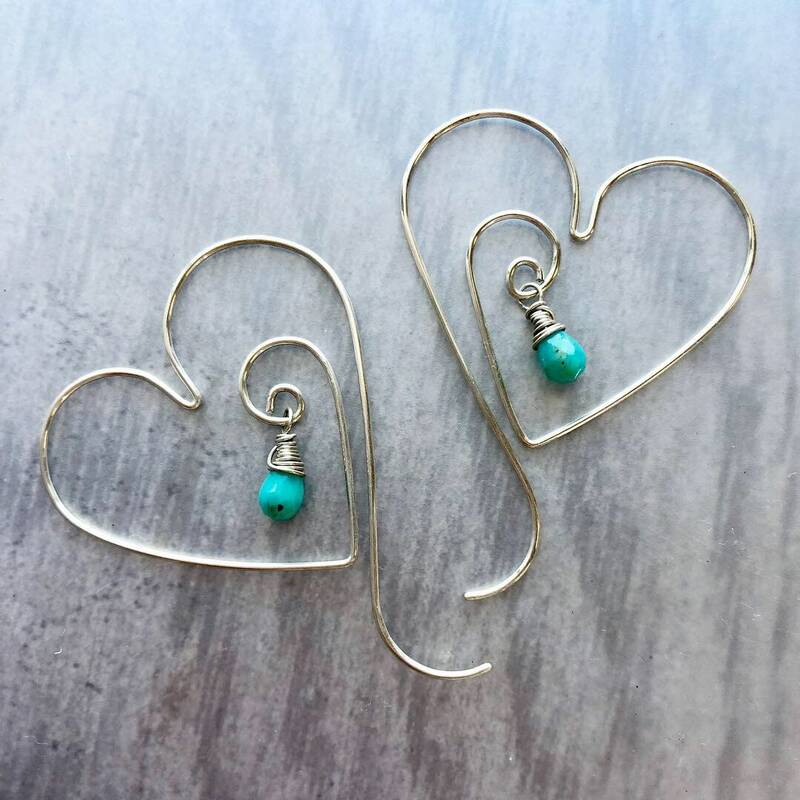 • These earrings are approximately 2" long from the top of the hoop to the bottom of the curve. The heart is about 1 3/8” long. 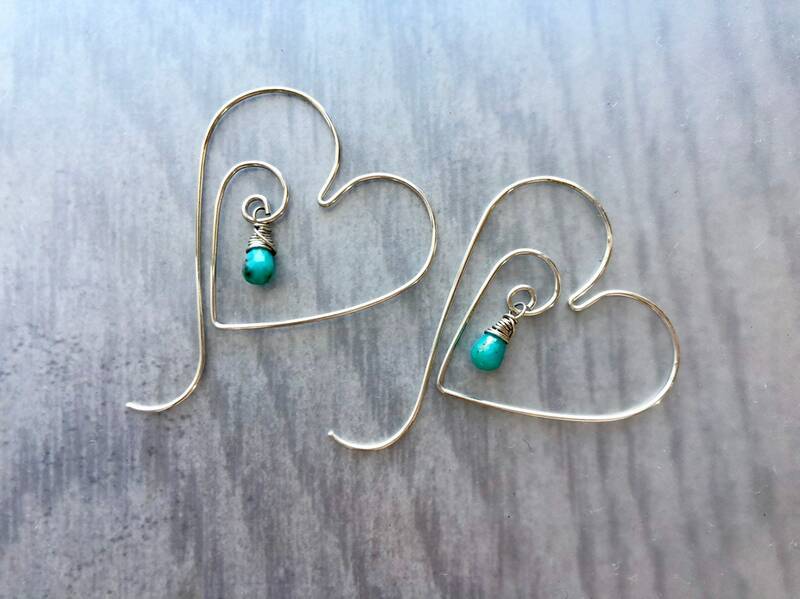 • These earrings are worn by threading the curved ends through the earlobe until it sits in the first curve.